I've bought and been given MANY kinds of candles over the years. I have always wondered about the flameless candles out there. Seems they would be SO much safer than using the ones you have to light with a match. I am always afraid I would forget to put them out before I left the house or went to bed. I was so excited to be able to review two candles from Enjoy Lighting and being able to giveaway two also! With Enjoy Lighting candles, you can enjoy the warm atmosphere of candlelight without the unwanted fire risks or replacement costs. Safety – Traditional wicked candles cause over 15,000 house fires each year. With flameless candles, there is no fire risk if a candle is knocked over or placed too close to a curtains or furniture. Flameless candles are 100% safe around children and pets. Décor – Use flameless candles in areas where wicked candles can’t go – in a floral arrangement or centerpiece, near curtains or drapes, on shelving or book shelves, in children’s bedrooms, and more. Enjoy Lighting flameless candles provide the look of traditional candles with real wax, realistic flickering effect, and light fragrances. Convenience – Candles won’t blow out when used outdoors. Some models include a built-in timer allowing the candle to turn on and off when you want it to, every day, at the same time. Set it once and your candle will automatically turn on and provide ambiance every day – without any effort on your part. Set it and forget it! Cleanliness – no soot build up on your walls or ceilings. No melting wax on your furniture or carpet. Cost Savings – while a traditional wicked candle can burn out in hours or days, Enjoy Lighting flameless candles will last for years. The LED lamp will operate for up to 10 years or 100,000 hours and a set of batteries can provide at least 300 hours of battery life. * With just the minimal cost of replacing batteries, flameless candles offer a 75% annual savings when compared to purchasing traditional wicked candles. *Battery life various depending on product and battery count. • Wax candles have a classic fragrance to provide freshness and ambiance. • 75% annual cost savings when compared to traditional wicked candles. • Colors and textures to match any décor. • Safe to use all around the home. No exposed flame or fire risks. No melted wax on carpet or furniture. No soot build up on walls or ceilings. • LED bulbs will last over 100,000 hours! • 3 LED's and a computer chip built into the candle produce multiple points of randomly shifting light, creating a glow that flickers, rolls, and casts dancing shadows, just like a real candle flame! Mandatory Entry ~ Go to Enjoy Lighting and tell me what candle you would choose if you won? +1 Vote for my blog on Top Mommy Blogs (once daily). Giveaway ends 6/20 at 11:59 PM ET. Must be 18+ to enter. Winner will be randomly selected via random.org and emailed. Winner has 48 hours to respond or a new winner will be selected. Open to US. Disclosure: I did not receive any financial compensation for this post. All opinions are my own and not influenced by anyone else. I did receive free product(s) to facilitate my review from the company or their PR agency. I would choose the Ivory & Beeswax Smooth Vanilla Scented Wax Votives. I'd like the orange distressed pillars. Like Enjoy Lighting on FB and said Thanks! I i won i would pick the beeswas drip vanilla scented pillars! they are so beautiful! I would love pomegranate passion. Following you on FB and posting giveaway. I would love the Pecan Mottled – Mandarin Spice Fragrance! I visited enjoylighting.com and would like to have the Gold Iced Metallic Pillars. Elegantly beautiful! 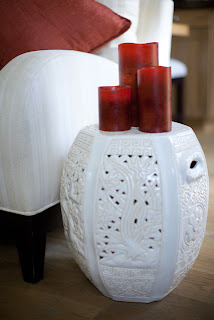 Visited Enjoy Candles & I would choose the Cocoa Brown Mottled Pillars in Sandalwood Fragrance!